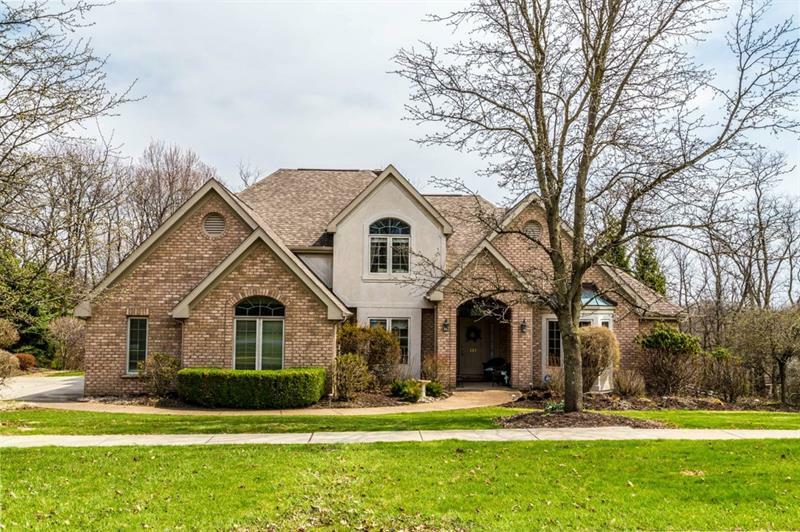 Convenient location, only 5 minutes to I-79/76 and Cranberry,schools,shopping,and restaurants.The hidden gem of Abbey Woods! 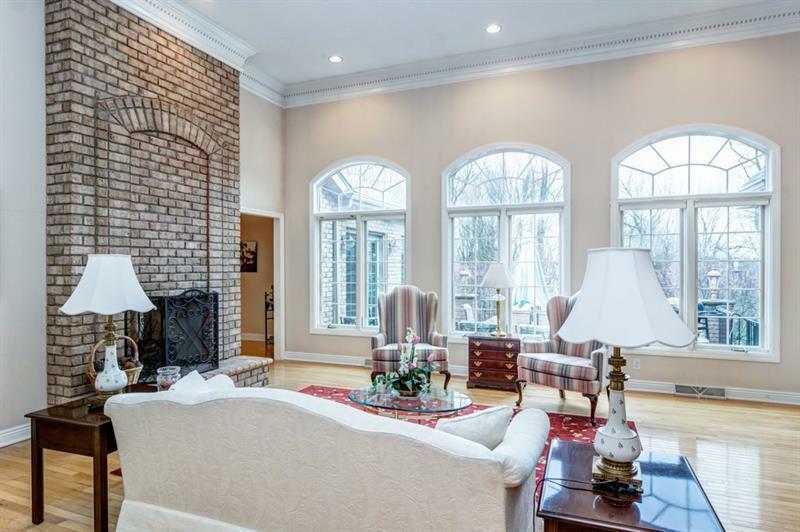 Builder, Daniel Marks built this custom master piece All the bells & whistles in this 5 bedroom 3-½ bath solid brick home on 1.02 acres. 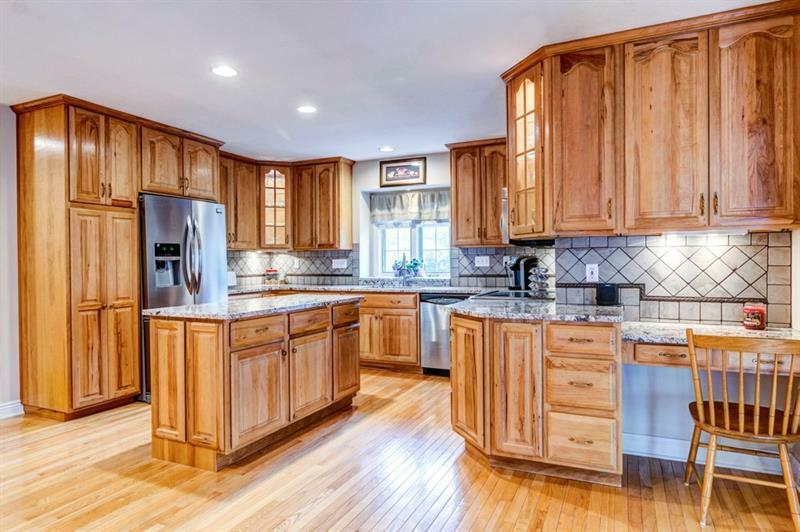 Kitchen features granite counter tops, custom cabinets, over-sized island, desk area, pantry SS appliances and fireplace. French doors lead out of the kitchen to the open sun room and upper patio for family cookouts. 12x6, first fl.laundry off kitchen.Gorgeous custom wood den w/built-in cabinets. A first floor master suite includes a huge walk-in closet, double vanities & Jacuzzi tub. 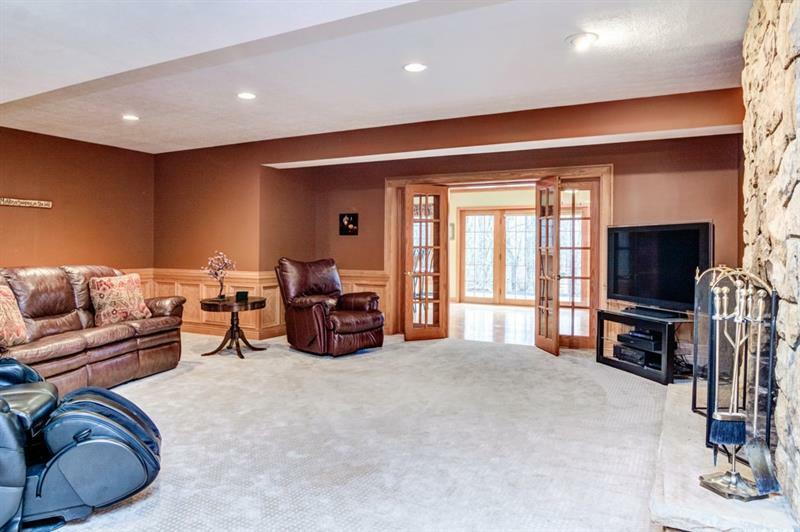 Lower level is complete w/new bathroom, work-out room, massive family room and patio/bar room leading out to the lower patio which includes waterfall & pond/fire-pit/hot tub /second gas grill for entertaining. Two driveways and four car garage provides ample space. Professionally landscaped backyard for easy maintenance. This is the one!